Ian and Phil Mcarthar from the Wairapa stayed at Tongariro Lodge then we fished the lower reaches of the Tongariro river fishing wet fly and nymph catching some top eating fish for the boys to take home for the family. 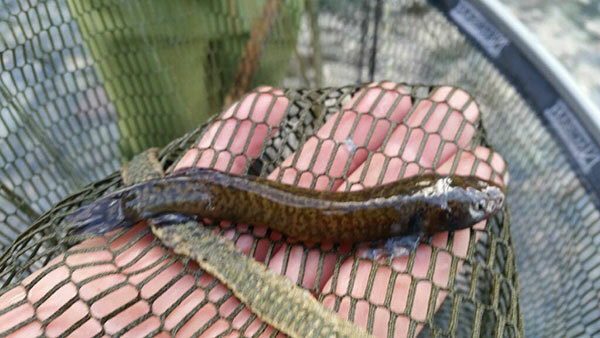 While releasing a rainbow male jack trout on the tongariro river this Koaro jump out of the trouts mouth into our net. It's the first KOARO I have seen. Apparently it's a good signal of a healthy fishery. I call Ken Drummond 'The Trout Whisperer'. 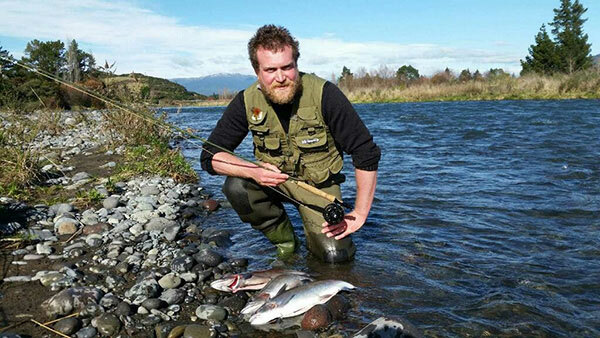 I grew up fishing the Tongariro river from the age of seven and now live in France. I have fished with guides worldwide over the last ten years. I have never encountered someone with such strong local knowledge, nor with such a profound understanding of the trout fishing environment, as Ken Drummond. Ken delivers prolific results on a regular basis- I recently caught several wonderful fishes with Ken, which was an almost unbelievable figure. What's more, Ken is a true 'salt of the earth' kiwi character whom I have the pleasure of knowing and have fished with on numerous occasions over the last ten years. 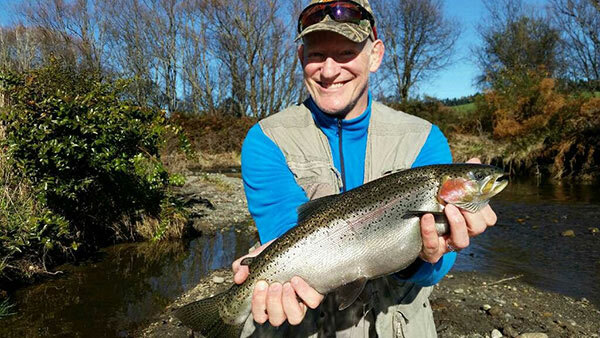 When I fly home to New Zealand I don't have time to mess around, I am usually only in Turangi for a few days and Ken delivers incredible fishing experiences every time. Ken is as entertaining as he is professional and I truly believe he is not to be missed during a visit to the Taupo, Turangi, Tongariro River region. Let me do the math for you and save you the hassle of looking elsewhere or wondering what your fishing experience will be like- see you soon Ken. 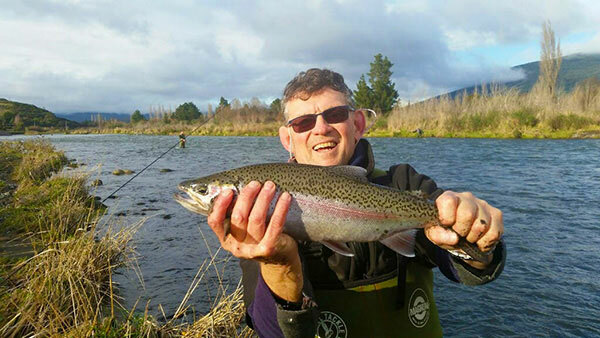 Peter Gray long time Turangi fly fisherman with one of the Rainbow Trout caught fly fishing Tongariro River mid reaches below the silly pool. 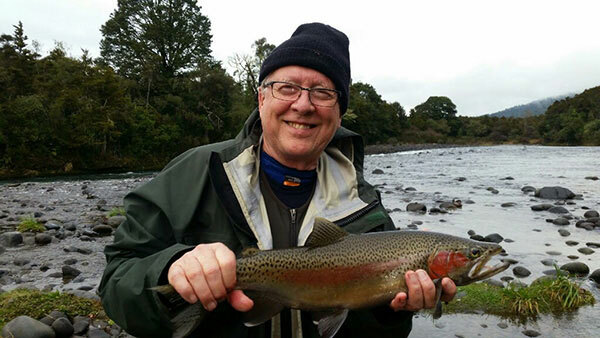 Peter took home some wonderful samples of Lake Taupo's fantastic eating trout. Weather: 9 degree C (day), 3 degree C (Evening), over cast with light rain and it feels like its snowing on Mount Tongariro and the Kaimanawa range. 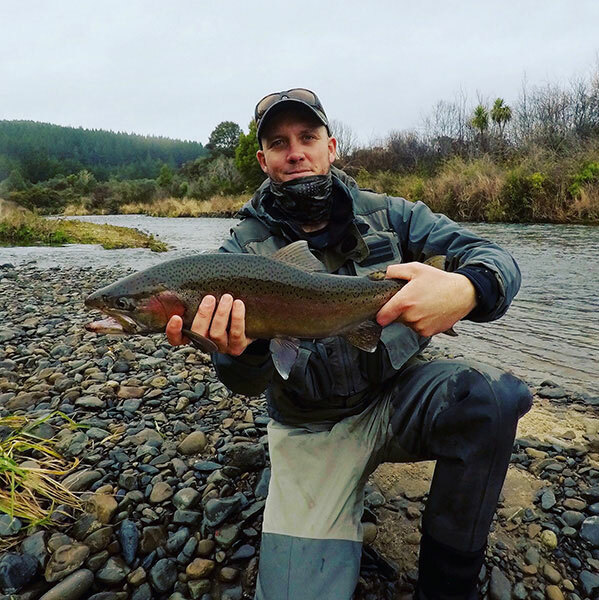 The Tongariro river and all other rivers around Turangi have fished well in the last couple of weeks. 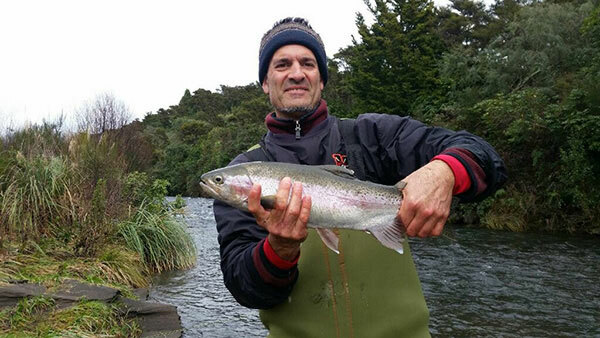 Light rain over night should have induced more fish from Lake Taupo into the rivers.for their winter spawing run. 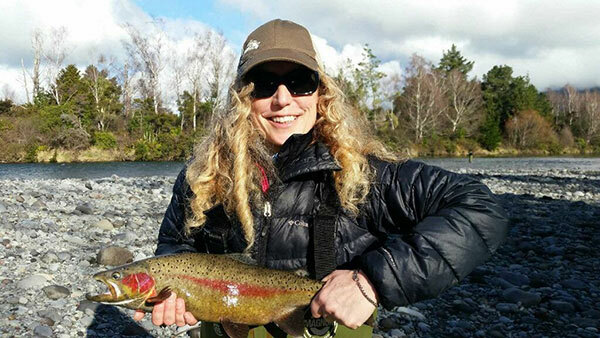 Tauranga Taupo has fished very good. and has produced some nice conditoned trout for eating. 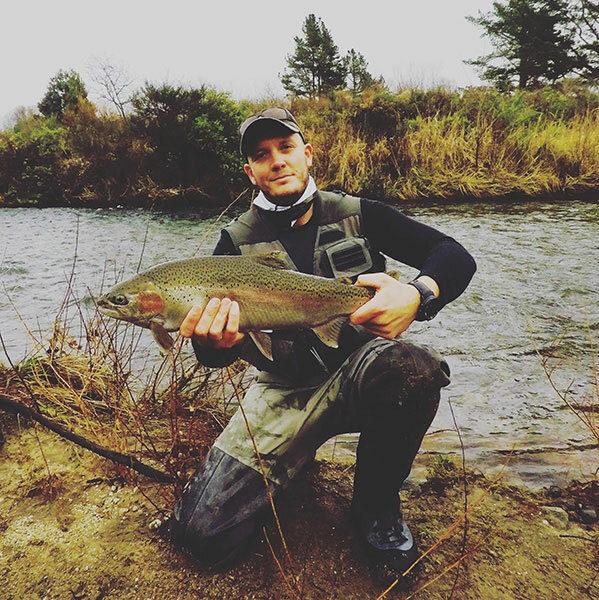 Stream mouths have been fishing well with both Rainbow and Brown Trout being taken. With the weather being calm and Lake Taupo nice and smooth due to lack of wind anglers also have been able to fish Lake taupo with lots of good fishing reports coming in from the jigging and trolling.